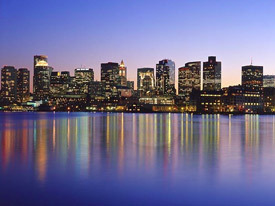 Welcome to Spine & Sports Injury Center in Back Bay Boston! For over 25 years, Spine & Sports Injury Center has been providing the Back Bay, South End, & Downtown Boston Communities with state of the art evidence based chiropractic and physical therapy services. Our multidisciplinary team will begin with a thorough present and past history, extensive and thorough evaluation to determine the true cause of our patients’ injuries or mechanical dysfunctions. We understand that one of the most common causes of current injury is past injuries. The chiropractors and physical therapists on our team, work together to give the most complete care to our patients. We also work with a network of local doctors and surgeons, so we can refer you to another practitioner if your injuries fall out of our scope of care. Our state-of-the-art techniques and procedures are administered in the highest-quality out patient health care settings to return our patients to work or play. The hands-on manual treatment at Spine and Sports Injury Center is given to you one-on-one by a licensed health care professional. Our office does not use aids, co-ops and/or assistants as we believe in offering one on one care with your doctor or therapist. This allows your full treatment time with an experienced provider to get the best outcomes as quickly as possible. We do not just treat your symptoms, as our goal is try to determine the true cause of your problems. Once we assess why your injury occurred then not only will we relieve your acute or chronic pain but also then we can work to prevent future injuries. Many athletes seek out our help for the treatment and prevention of their injuries. We have skilled and experienced doctors and therapist that work at the professional and Olympic levels. To help assess our athletes we might use video analysis, Functional Movement Screen (FMS), Selective Functional Movement Assessments (SFMA), Anatomy in Motion (AiM), Fascial Manipulation along with our orthopedic and neurological examinations. Whether you’re a novice, recreational or a professional athlete simply wanting to improve your performance let our team assess your function. We will not only treat your injuries but also help improve your athletic performance and help prevent future injuries. Are you wondering how we can help you find greater levels of health and fitness? Call (617) 247-2300 to find out more.